Purehold Silver Ion Technology - NEW! 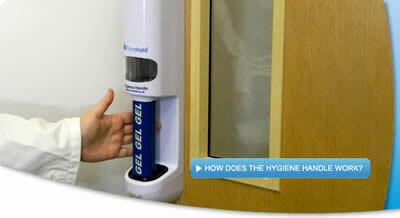 Stop the transfer of bacteria at the most common point of contact. Our Mission is to provide our clients with products and services that help them operate their facilities safely, accurately and thereby more profitably. KSE Corporation provides only proven, dependable, high quality products. A full service firm, we offer installation, instruments, technical support, field calibration services, turnkey construction capability and personal contact with knowledgeable professionals who care about the success of your application. Our products include instruments to measure and record tank level, temperature, relative humidity, current, voltage, flow, IAQ (Indoor Air Quality) and many other parameters, products that safeguard your facility, and compressed air equipment. We offer our clients solutions to help them manage and protect their businesses. KSE Corporation is a member of the Instrument Society of America, the Dairy Technology Society, the Greater Valley Forge Chamber of Commerce, the National Federation of Independent Business Owners (NFIB) and the Better Business Bureau.